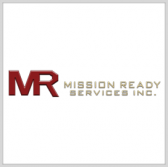 A Mission Ready Services subsidiary has received a contract from the U.S. Army Natick Soldier Research Development and Engineering Center to develop a safety vest for sailors working aboard submarines and surface ships. Protect the Force will use a government-approved design to produce the initial prototype of an Electrician’s Impact Safety Vest for field assessment and deliver 75 final EISV prototypes to the service branch, Mission Ready said Tuesday. PTF will manufacture the prototypes at its Jacksboro, Tennessee-based facility and will receive $28,500 in funds from NSRDEC to support prototype development and move the EISV product to the commercialization phase. “This project is a key development for the Company as it further expands our portfolio and scope of expertise into the industrial safety domain,” said Jeff Schwartz, CEO of Mission Ready. PTF has developed a combat shirt for the Army and a ballistic base layer for the U.S. Marine Corps through its product development team in Boston.